Internet searches definitely don’t work like they used to. Once upon a time, keyword stuffing was the answer. As search engines and search engine optimization (SEO) have advanced and the content on the Internet and social media has grown, the focus is no longer to find results that are merely relevant. The goal is to give the user expert, factual information that gives them exactly what they’re looking for. It sounds easy but finding the right keywords is an art form. That’s why using keyword research tool is essential. By providing you with just the right words, your site will climb in the search rankings and you’ll get more visitors to your site. This translates into more than just increased page views. It can lead to more clients, more sales, and a trusted reputation. 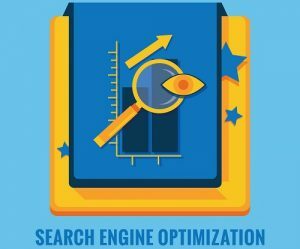 However, though things like search engines and search engine optimization, meta description, on-page SEO, off-page SEO, long-tail keywords, social media, on-page SEO services, long-tail keywords, high-quality content, organic traffic, and bounce rates may seem complicated, they are vital for the future of SEO and online trading—especially when it comes to keywords. When considering the kind of keywords to use, here are the five that are the most effective. LSI stands for latent semantic indexing. The term basically refers to keywords and keyword phrases that are related to the topic you’re writing about. An easy way to see this is to start typing something into your search bar. Google auto-generates a list of search terms that you might want. For example, if you type in the word “dinosaurs,” some terms that are generated are dinosaurs movies, dinosaurs TV show, dinosaurs name, and dinosaurs for kids. By using LSI words, you will effectively draw more visitors to your site because the search engine will scan through your content, see that there are LSI words on your page, and give you a better ranking in the search result. For example, if you’re trying to get people to visit your site about dinosaur toys for kids, you should try to include some of these LSI words. The best way to incorporate them is to include untapped but relevant LSI words on your page. That’s where a keyword generator can really come in handy. It can present you with a lot of great ideas that you (and your competition) might not have immediately thought of. Market-defining words are usually the first words that come to mind when you’re thinking about your subject. In our example, some market-defining words could be dinosaur toys for kids, stuffed dinosaurs, dinosaur figurines, or dinosaur toys for toddlers. These words should address the market that you’re hoping to tap into and should sound like they’re naturally a part of the language on your page. Think about who you want your audience to be and what they would search for to find you. Would they be more likely to search for “dinosaur toys” or “toy dinosaurs”? These words help you understand who exactly you’re trying to reach and how to draw them in. You might think that the only people looking for dinosaur toys are parents of young children. But what about dinosaur enthusiasts? Paleontologists? Teacher or professors? It’s easy to see that you would need different language to sell to these potential customers. A paleontologist is probably not going to be wowed by the same language that a mom of a toddler is. Using the right keywords will help get the audience you’re looking for. This is a big one. Product defining keywords are very straight and to the point. The goal of these words is to make it clear and obvious what you’re selling. How often do people search directly for something they want to buy? Pretty often! When people know what they want, they’ll search for it specifically. You want to try to get your product to show up in the top of their search results when they’re ready to spend money. Bottom line, you need to know what you’re selling and who you’re selling it to in order to make it crystal clear what you have to offer. Product defining keywords can directly drive people willing to spend money right to your site. Vertical keywords are those that are somehow related to your website. The best thing about them is that they’re not going to relate to your direct competition but could possibly open the door for collaborations and partnerships. For example, if you sell dinosaur toys, some vertical keywords could be “dinosaur T-shirts,” “action figures,” or “dinosaur children’s books,” or even “anatomical dinosaur posters”. One of the great things about vertical keywords is they could provide you with the opportunity to set up link exchanges or get your site listed on a niche blog. If someone searches for “dinosaur T-shirts” and is directed to your site, they won’t find dinosaur T-shirts. But if you have support from partner sites, they’ll find a link to a site that sells T-shirts. The same is true in reverse. Say someone is buying a T-Rex shirt and sees a link telling them they might also be interested in a T-Rex toy. That link would drive traffic to your site. The Internet is made up of countless interconnected websites and symbiotic relationship between them. Vertical keywords are one way to begin building these kinds of connections. These examples just touch on the possibilities that the right keywords can open up for your website and business. To make sure you’re getting the best keywords and the most traffic, keyword research is essential. If you’re thinking, I’m too busy with all of the other aspects of my business! I don’t have time to spend figuring out exactly what words to use, you’re in luck. Keyword research tools can do all of that for you so you can focus on the rest of your business.